We sell dumpy bags of seasoned logs delivered to your door. The logs are sold in 2 categories premium hardwood and stove special mixed logs. Prices are £65 and £55 respectively. 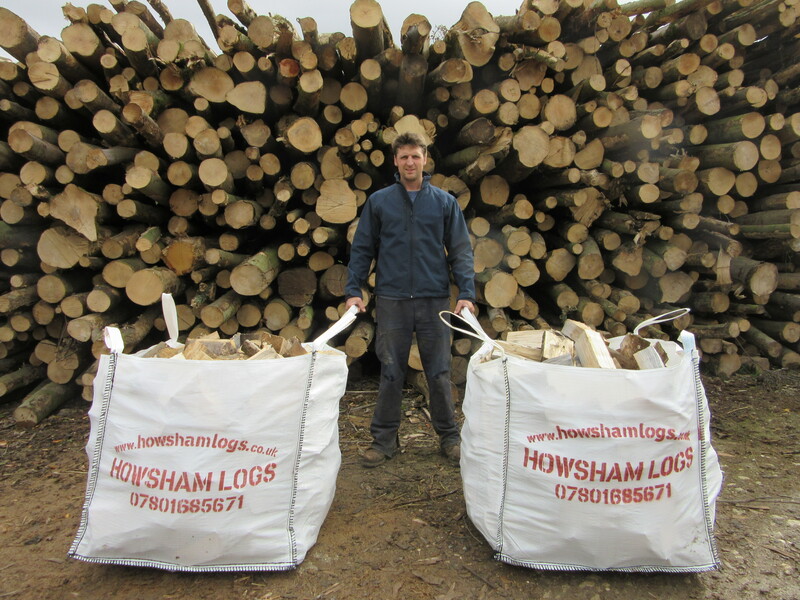 We offer discounts for green logs for customers who wish to season their own and for larger orders. We welcome wholesale enquiries and our timber satisfies all the criteria for customers with biomass boilers. Our standard logs are a maximum of 9 inches long but we can supply them to any length.